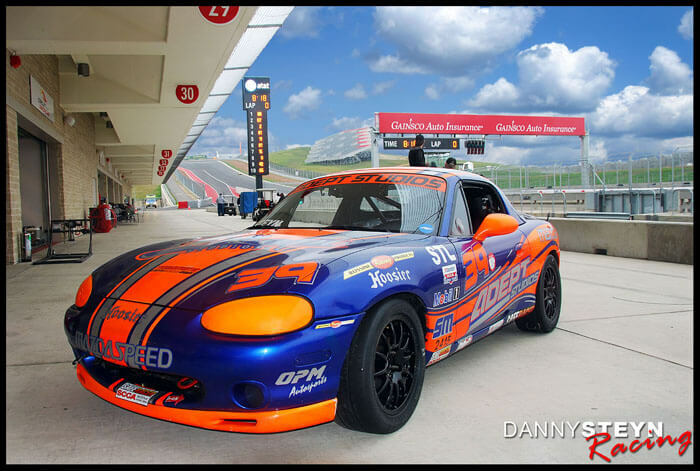 Home / Years / 2013 / Sebring Majors BFG Super Tour. Steyn has sensational start to season! 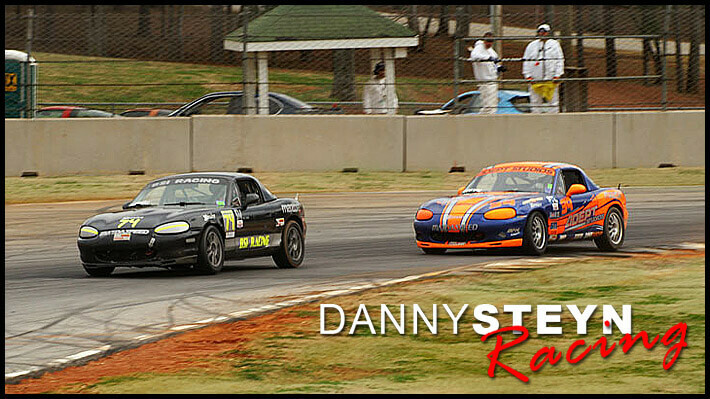 In one of the deepest national fields in Spec Miata, featuring at least 15 potential winners as well as the top 5 from the Runoffs, Danny Steyn had one of the best starts to a season that you could ask for. 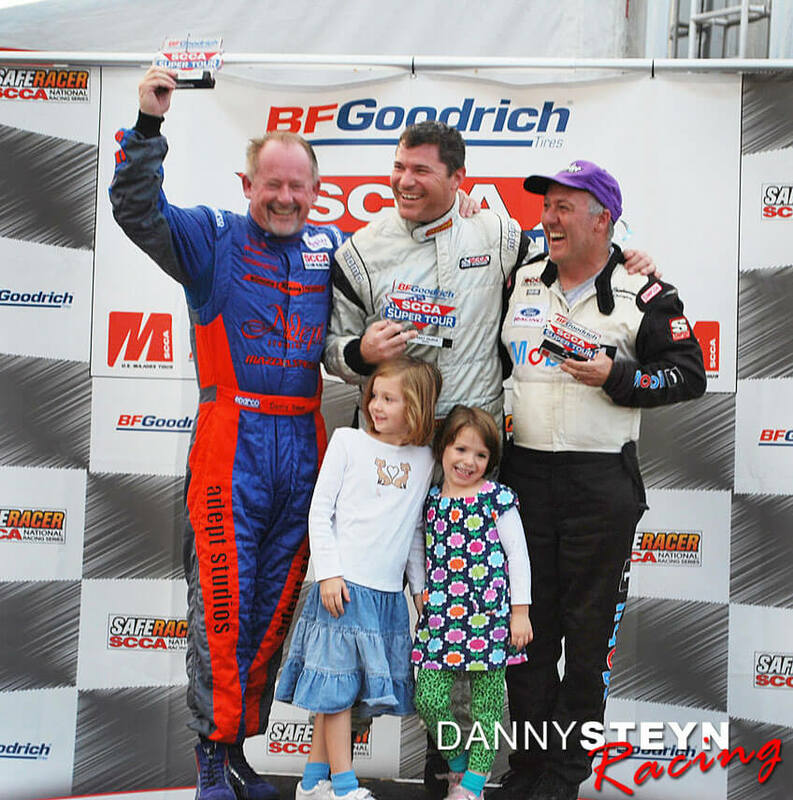 In Race 1, Steyn, Buras, Van Vurst and others all led the race at different times. With a few laps to go Steyn moved to the lead ahead of Buras and held the lead coming into the last lap. However Buras had a great run out of turn 16 and pulled alongside Steyn coming into turn 17. Buras and Steyn went sided by side through Turn 17 and Buras managed to eke out ahead and beat Steyn by 4/100ths of a second. 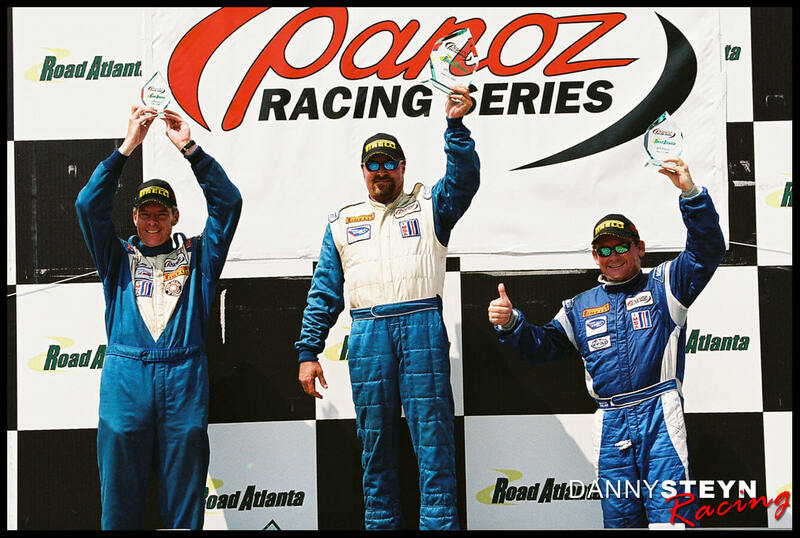 The first four finishers were with in 0.4 seconds. 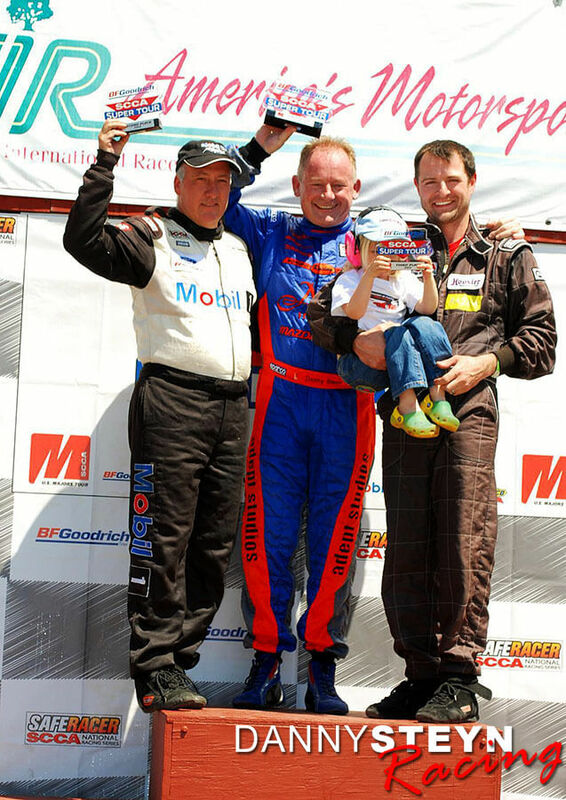 In Race 2 Buras and Steyn had gapped the field when the Full Course Yellow came out on lap 3. 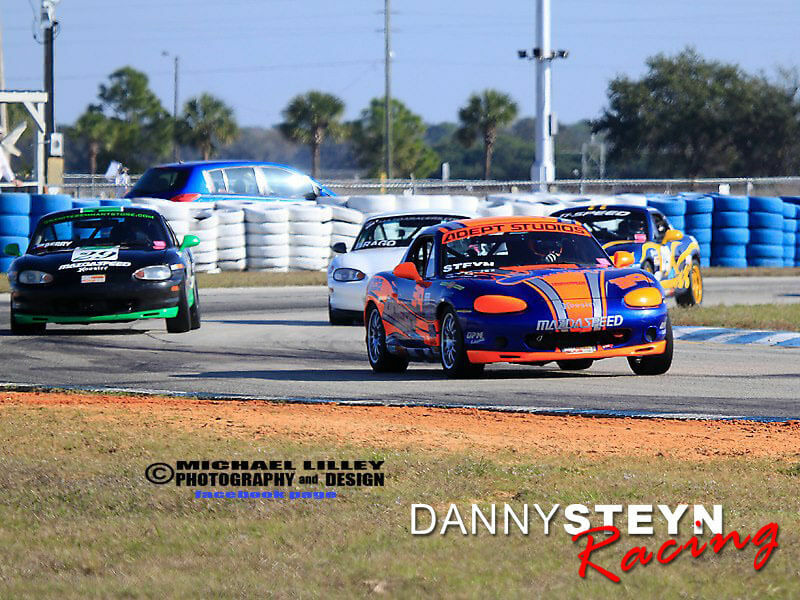 They had a restart on lap 5 and Buras missed a shift on the exit of Turn 7 allowing Steyn to take the lead. 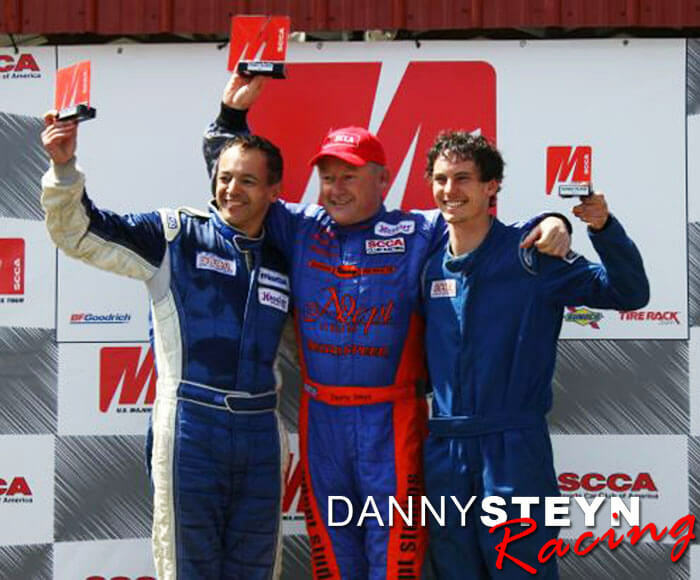 Steyn held the lead for the next lap when the race was stopped for a serious accident in Turn 17. 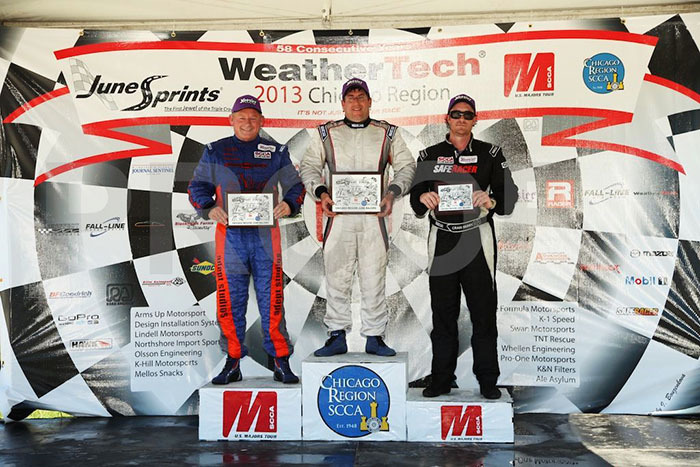 Starting the 2013 season with a first and a second place finish in a deep national field is always a good feeling!